Catherine began her career as a modern cellist in Perth, Western Australia. After receiving a Postgraduate scholarship she relocated to The Hague to follow her passion for Early Music. Following four years of specialized tuition with Jaap ter Linden at the Royal Conservatorium she received her Diploma in Baroque and Classical Cello, also winning the Conservatorium’s prestigious “Nicolai” prize. Catherine has worked extensively with ensembles of international renown; The Amsterdam Baroque Orchestra,The Academy of Ancient Music, Il Complesso Barocco, Concerto Copenhagen, La Scintilla and I Barocchisti. 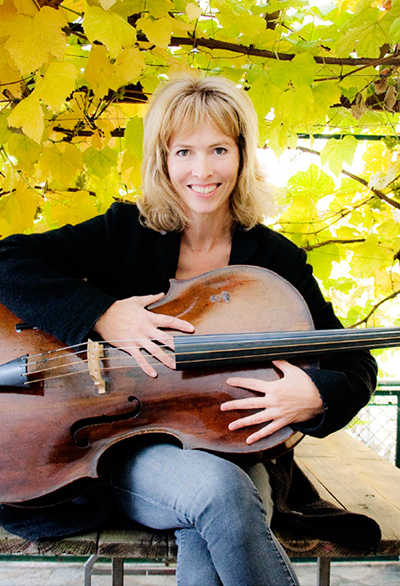 She has recorded prolifically for Deutsche Grammophone with Il Complesso Barocco (directed by the late Alan Curtis) with whom she was principal cello. Mundi label with this group. Catherine also performs regularly as soloist with the Baroque Orchestra of the Ernen Musikdorf Festival and has performed cello concertos by Vivaldi, Fiorenza and Porpora. Her first solo disk of Boccherini and Cirri cello sonatas for Sony DHM was released in September 2014 to great acclaim and 5 star reviews; This CD has been featured on Italian Radio 3’s New CD release programme Primo Movimento and Catherine was also guest artist on the Swiss Radio Programme “Sheherazade” and has performed live on Radio 3 Milan “Piazza Verdi” and the Quirinale concert series in Rome. In 2015/16 Catherine continues to promote her most recent CD with many recitals, in collaboration with prestigious international artists such as William Carter and Enrico Baiano. From 2015 Catherine is Professor of Baroque Cello at the “Felice Dall’Abaco” Conservatorium in Verona and at the “Giuseppe Verdi” Conservatorium in Milan.